Awaken Beauty uses the Elleebana Lash Lift which is the hottest trend available for your eyelashes. Offering you luscious lifted lashes that will last for weeks, in the blink of an eye. 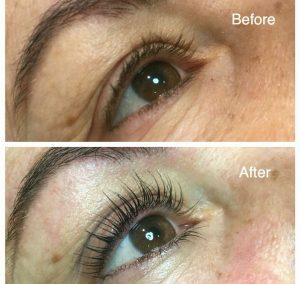 Lash Lifting uses silicone instead of traditional perming rollers to give more of a lifting effect from the base of the eyelash. It takes just one professional treatment to deliver sumptuous lashes that last up to 12 weeks – even after showering or swimming. You can ditch your lash curlers and mascara, reduce your getting ready time, and love your lashes even more. With multiple last tint colours to choose from, you’ll be walking out of Awaken Beauty with to die for lashes like you always wanted. A Lash Lift will make your own lashes appear longer, without the use of eyelash extensions. Treatments take approximately 20 minutes. There’s minimal after care required! Plus – it’s suitable for both short and long eyelashes. The Elleebana Lash Lift uses a superior formulation with nourishing and conditioning. 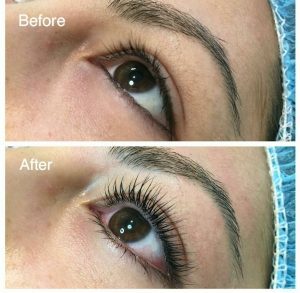 Talk to Nurse Elizabeth about having luscious lifted lashes you’ll be happy to wake up with!